Of all of the tastings we did in culinary school—and there were many, from olive oil to chocolate (oh yes)—it was the salt that was most surprising, the most interesting. The subtle, and some not so subtle, differences in flavor and texture were a revelation. Morton salt, which hails proudly from Chicago, is good for many things, most of those having to do with wanting the salt to disappear: table salt dissolves easily in vinaigrettes, settles in perfectly on butter-fried nuts, and disburses nicely in bread doughs. But for purity of flavor and the pleasure of salty crunch, sea salt is the go-to. 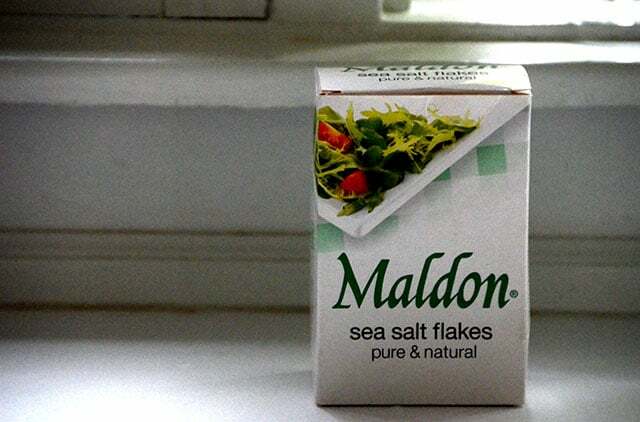 On my counter, right next door to a cellar of Kosher salt, I keep a box of Maldon sea salt. 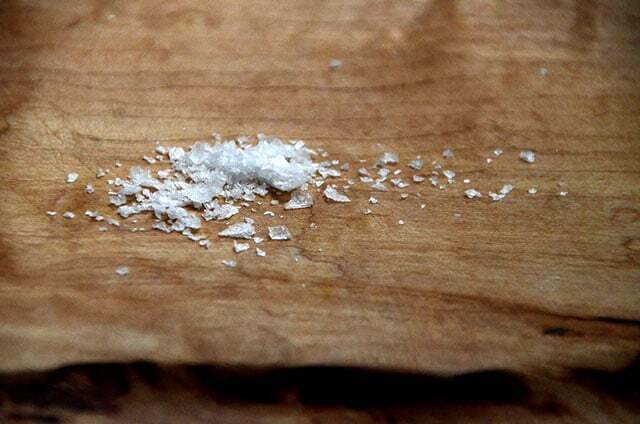 This is a finishing salt, one that is easy to run between the tips of the fingers, sprinkled from on high to all that is good on the plate below. For many of us, I know, the Maldon is not exactly new on the home kitchen scene, and there is a whole beautiful array of sea salts to explore from the world over. But still, it is a favorite, and Maldon is a classic; the Maldon company has been sourcing sea salt in the U.K. for 130 years, and their story is a fun one that includes people like Queen Elizabeth (they even have a salt blog, go figure). And what character and history are in the hands that hold their beautiful salt. Sea salt is a must-have in your flavor-making arsenal, the best way to finish everything from a slice of the tomatoes we are missing dearly by now, to a big slab of homemade salted caramel. The latter is coming up this week (the Week of Candy), so grab your sea salt, and stay tuned. Postcard from Up North Orange Blossom Cream Caramels with Sea Salt. A mouthful of happy. 6 Responses to "Favorite Things: Maldon Sea Salt"
Did somebody say “salted caramel?” I’m suddenly awake. I use it on everything, love the flavor. My sweet son sent a tasting box of six salts in small tins from The Meadow in Portland, OR, which is how I was introduced to it. I also loved – especially on salads for the flavor and the look – Black Diamond. Also great on pasta. I buy the Maldon from a place in Woodinville, WA, GREAT service, but wil get the Black Diamond again from The Meadow. Can this be purchased in specialty markets? Grocery stores? Want to buy some! Thanks! Jen, Maldon should be in any fairly decent grocery store near you, but certainly in the specialty markets. Buy it online here. 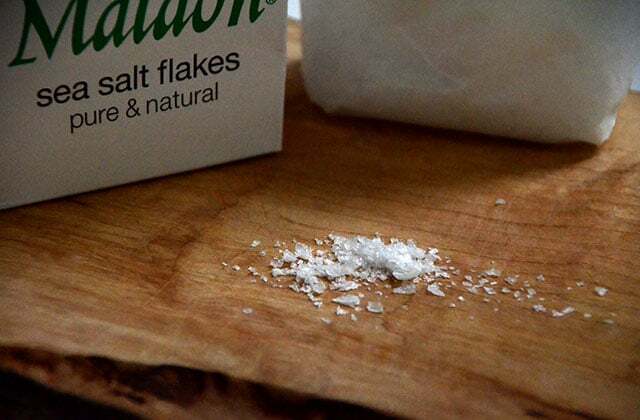 I first learned about Maldon salt on a trip to England a few years ago- I brought several boxes home with me and have had friends bring them to me since then. It is, simply, the best. I know it’s available at Williams Sonoma in the Lansing area, and at Goodrich I believe.